Apex Legends-a free to play battle royale game that everyone loves to play on PC, PS4 and Xbox One is NOT yet out on mobile devices. I repeat again, it's not available on mobile and there hasn't been any confirmation from Respawn Entertainment ( the studio behind the game) whether Apex Legends will be releasing on everyone's favourite portable device. Seeing the game's enormous success on the PC, PS4 and Xbox One, it wouldn't be surprising if EA doesn't plan on bringing Apex Legends on mobile devices by the end of 2019, seeing its biggest competitors- Epic Games' Fortnite Battle Royale and PUBG already have millions of players playing every day on their phones( and dying if you're from India). As of now, however, the fans waiting for the game should be careful of any fake apps they see lingering around. According to Kaspersky Lab, there are various sites that are linking fake links of the game's supposedly mobile version. These links are nothing but more trouble for the fans as they are littered with multiple ads and banners, as well as "surveys' that might just leak the user's personal information. Also, many people ended up downloading the FakeFort Trojan app that contains malware, causing it to download multiple new apps that are dangerous for mobile devices. Apex Legends mobile fans are thereby suggested to wait patiently for any official announcements from Respawn Entertainment, who just recently revealed their upcoming third-person action adventure game called Star Wars: Jedi Fallen Order. 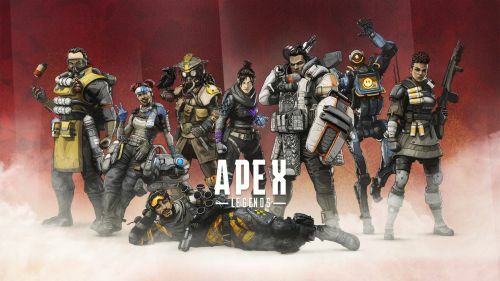 What are your thoughts about the current situation regarding Apex Legends? Will the game be launching on mobile devices anytime soon? Tell me in the comments down below.